Email askfuiping@gmail.com for solutions on how to get better sleep or if you have insomnia. Some people used to associate sleep with a waste of time. But research nowadays show that sleeping gives a lot of benefits - it does more things for you than you can imagine. If you drive your car for 8 hours non-stop, the engine will be very hot. You should stop the car and let the engine cool down. Our brain works like that too. When we're awake, we make decisions and do stuff and that require our brain to run, and "heat up". When we sleep, we let the brain cool down so it doesn't "overheat". When we sleep, our brain will sort out what we learn during the day into long-term memory. The less important events will be deleted. When we sleep, the brain and body parts that are damaged through injury will be repaired. Our immune system becomes more active when we sleep and can do detox function etc. That is why it's very common to hear people say that when you're sick, you should rest. Stage 1 - between awake and asleep (light sleep) where you're almost unconscious but still somewhat aware of your surroundings. Lasts about 10-15 minutes. Stage 2 - the onset of sleep. Become more disengaged with our surroundings and lose control of our limbs. Heart rate and breathing will slow down. Body temperature will drop. Lasts 10-15 minutes. Stages 3 and 4 - deepest and most restorative part of sleep. Tissue repair starts and growth hormones are released. Children who sleep more will grow up faster. 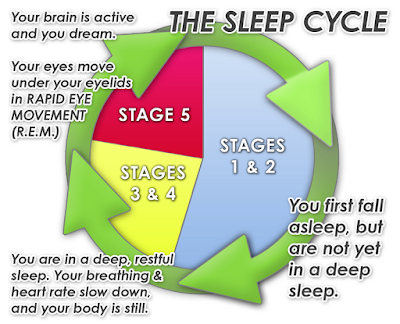 Rapid Eye Movement Sleep - this is the stage where we dream. When you don't sleep well, you'll face higher chances of strokes, heart attacks etc. When you sleep, your blood pressure falls. If you're suffering from high blood pressure and you don't sleep, your blood pressure will always be very high and the chances of getting heart attacks will be higher. Further, your arteries expand when you're resting. If your arteries are already clogged, not sleeping will keep your arteries constantly contracted and increase your risk of getting heart attacks. When we have bad sleep, our fat cells become less reactive. They also need to rest. If you don't let them rest, they don't react to insulin as fast. They need 3 times more insulin to react and your glucose tolerance would be lower. You'll have increased craving for food, because if you don't sleep, you won't be able to regenerate / recharge your energy, so your body will outsource by getting more carbo from food to supplement the lack of energy you have. Cortisol is the fight or flight hormone. When it is elevated, it will lower your ability to digest food because your body will be using more energy to produce more sugar for your blood and muscles in preparing you to fight/flight. Your digestive system will be suppressed. You'll also have poor mental health because you're always in a very stressful state. As you sleep, you restore memory and your brain cells repair. If you don't sleep well, your ability to restore memory will fall and in the long term, you may suffer from Alzheimer's disease. 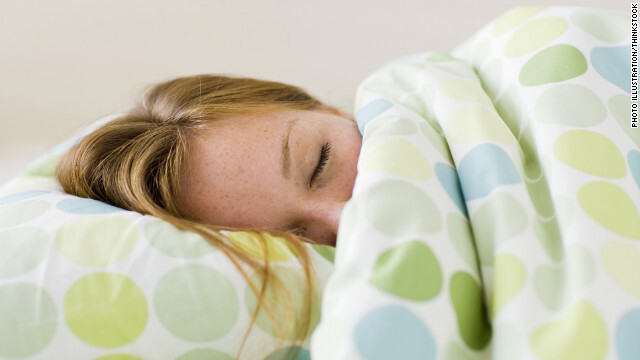 Melatonin hormone plays a very important role for you to have a good night sleep. It is secreted by the Pineal Gland and induces you to sleep. It is a very powerful anti-oxidant and free radical scavenger. It helps you to prevent inflammation. So when you sleep, it helps you to recover faster. It's twice more effective than vitamin E in terms of its anti-oxidising properties. It helps slow the ageing of your brain and helps your manage stress level. When you wake up in the morning and see the sunlight, the secretion of your melatonin will fall - signifying you should wake up. When night comes, the melatonin level will increase and make you want to fall asleep. 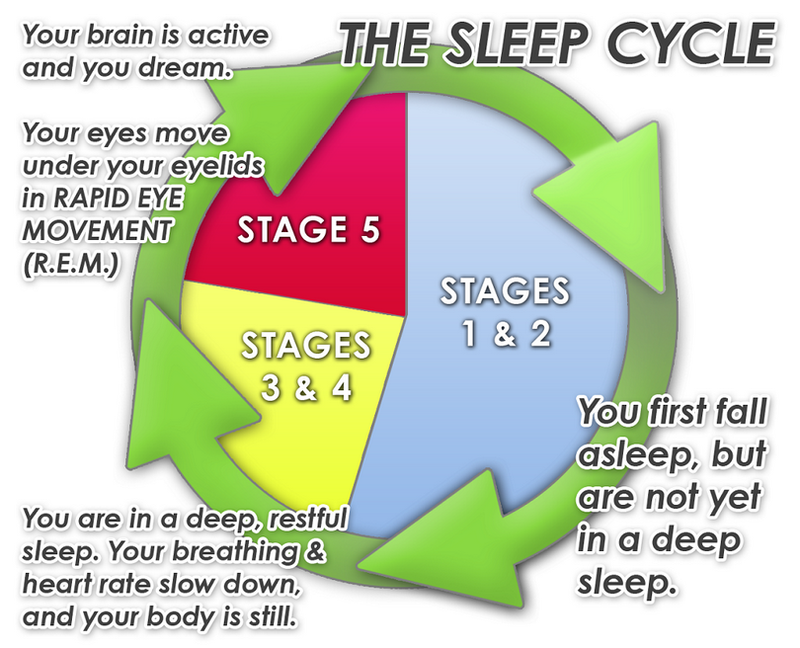 It's important your cycle is correct to get a good night's sleep. If you don't sleep at night and don't expose yourself to the sun in the morning, the cycle would become haywire. When your melatonin is not supposed to be high e.g. in the morning, it will be elevated thus making you feel tired and at night, you won't be able to sleep. It's very important for you to expose to the sunlight before 10am, to make sure the "switch" is right. The ability to secrete melatonin decreases after 45 years old. So taking care of it is very important. Research shows that if you have high levels of melatonin in your body, it will increase your lifespan by 25%. There's a natural clock in our body that dictates when we wake up/sleep etc so we have to make sure the clock is set at the right time. The way to do it is to eat breakfast as breakfast is the reset signal for the biological clock. Don't burn the midnight oil because it disrupts the rhythm and raises cancer chances by 1.5 times. Try to sleep by 11.30pm to midnight. The timing is important because our Meridians repair at specific times at night e.g. liver repairs between 1am - 3am, lungs repair at 3am - 5am, intestines repair at 5am - 7am. So if you don't let them rest at these time, the organs won't be able to repair properly. Wake up at a consistent timing so your clock knows when it's time to wake up. You'll find you can sleep easier at night because everything falls into place, like clockwork. Body temperature is the key to falling asleep. If it's high, you'll find it difficult to sleep. When it's low, it simulates and induces sleep. So it's not good to exercise at night because 30 minutes of exercise can raise the body temperature for 4-5 hours. The best time to exercise is in the morning when you expose yourself to sunlight. If you can't manage that due to work, a light walk in the evening would be great. Time it right and the body temperature will gradually fall by 10pm and and you will feel like sleeping. For people who already have problem sleeping, you can consider including banana, olives, nuts and grains into your diet because they contain melatonin and can help you sleep better. Short naps have been proven to be very effective to boost your energy for a few hours. Take less than 30 minutes nap because you don't want to go into stages 3 and 4 of sleep. 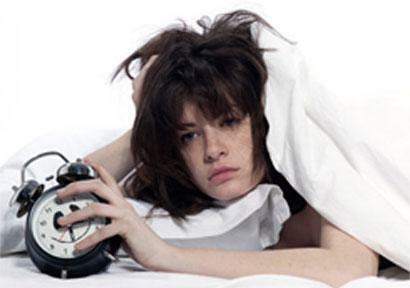 Exceeding this time may result in you feeling even more tired when you wake up. Nap between 1pm - 4pm because if you sleep any later, it will disrupt your rhythm and you won't be able to sleep at night. Try not to lie down as it will be harder for you to wake up. Sleep in sitting position while holding a pen is an easy way to make sure you don't get into deeper sleep. Sit in a dark place to promote the secretion of melatonin and makes it easier for you to fall asleep. Temperature is the key to falling asleep. The fall of temperature can be emulated when you take a hot bath. Your body will feel hot after this bath. When you come out to a cool environment, because of thermal equilibrium, your body temperature will try to reach a stage which is same as the surroundings. When it falls, your body will be tricked into thinking it is time to sleep. Electronic gadgets have "blue lights" and it's one of the biggest way to shut down your melatonin secretion and hence interferes with your ability to sleep. 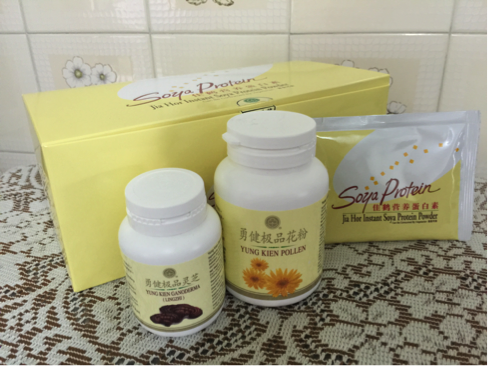 How Can Shuang Hor Products Help? Lingzhi is known to be able to calm nerves. It revitalises and repairs pineal gland cells for good melatonin secretion. Provides more than 200 types of nutrients (including 16 types of vitamins, 16 types of minerals and more than 94 types of enzymes and coenzymes) for optimal cell productivity. Great option for breakfast for people who don't have time to eat. To produce high quality hormones requires good quality raw material (protein). Goes well with pollen for a good breakfast. It's also very nourishing when taken 1-2 hours before sleep. Mr K always has difficulty falling asleep. He takes about 1-2 hours to fall asleep. He's also a light sleeper and is easily awaken. He tends to wake up at 3am and then have a very bad temper the next day when he doesn't have enough sleep. When this happens at night, he would go down to the kitchen and take 10-15 capsules Yung Kien Ganoderma + 20-30 capsules Yung Kien Pollen. He is able to fall asleep quite soon after that. Lingzhi helps to calm his nerves down. Please email askfuiping@gmail.com to purchase Shuang Hor products to manage your sleeping problems. I am the Authorised Distributor. Please click here to refer to Shuang Hor company website for Product Description and Price.